has witnessed other equally exciting processes, when already popular vessels were changed considerably. For example, there were cases when well-known cruise liners were cut in half to get additional sections (you can find several videos of the cruise ship extension via this link). This time we’d like to share a list of liners that were transformed beyond recognition. 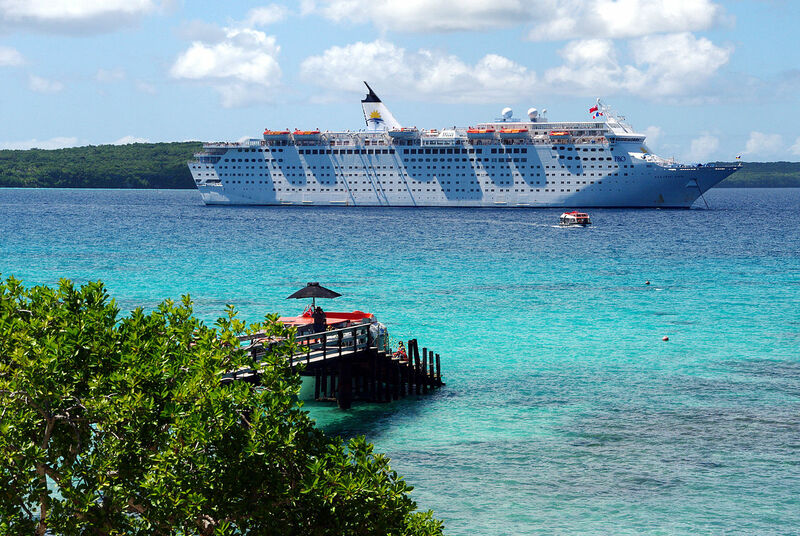 Let’s take a short trip through the history of cruise ships. We are sure many of you have heard about Carnival Cruise Line’s Jubilee, and not just heard but also sailed on her. The world greeted this legendary liner in 1986. She served Carnival until 2004 when she joined P&O Cruises Australia’s fleet as Pacific Sun. What’s the first thing you’ve noticed about the refurbished vessel? That’s right! The well-known Carnival’s funnel was removed. We should note that funnels of her near-sister ships, Celebration and Holiday, were simply painted after the vessels had left Carnival. Each of them is still in service. Jubilee was scrapped as the Hen last year. By the way, Jubilee was not the only ship that said goodbye to her distinctive funnel when she joined another family. Tropicale (1981) was the Carnival's 1st custom designed liner - she received its distinctive “whale tale.” When she became Costa Tropicale, the Carnival’s “whale tail" was replaced with Costa Cruises's round stove-pipe funnel. Yes, this cruise ship had the famous "whale tale" when she was constructed. In this video, she looks like the full-fledged representative of Costa fleet. 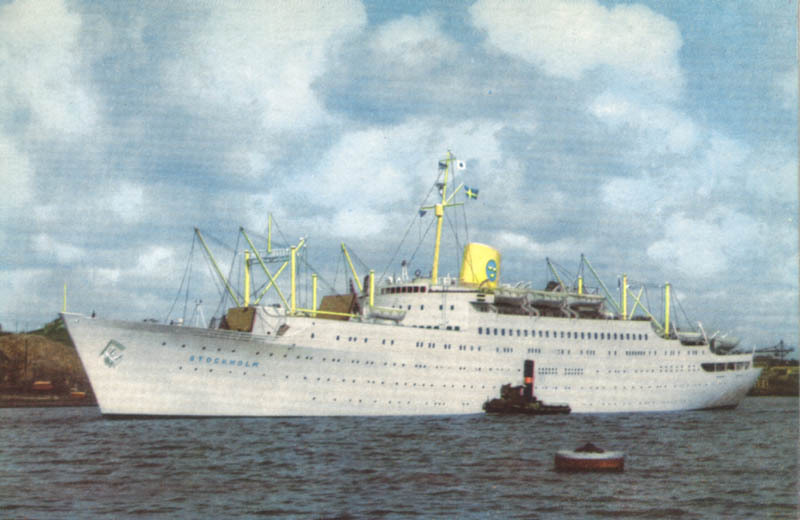 MV Nordic Prince joined Royal Caribbean Cruise Lines' family in 1971. Her 1st significant transformation was held nine years later when she became 26 meters longer. 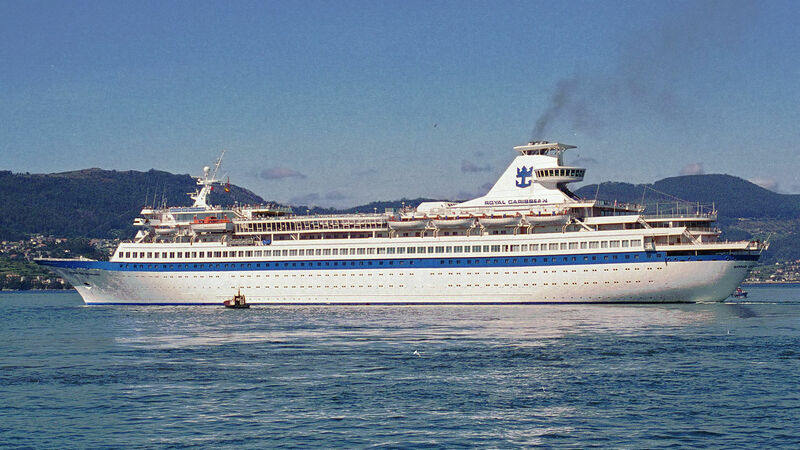 In 1995, she began to operate sailing as Carousel for Sun Cruises after her distinctive feature, sky lounge around the liner’s funnel, was withdrawn. After changing different names and operators, our heroine was decommissioned in 2015. Nordic Prince had the same lounge. MV Kungsholm started her career as the ocean liner/cruise ship in 1965. In 1978, she joined P&O, which rebuilt the ship, and changes appeared to be really considerable. She was left without the forward funnel, and the remaining one was reshaped. 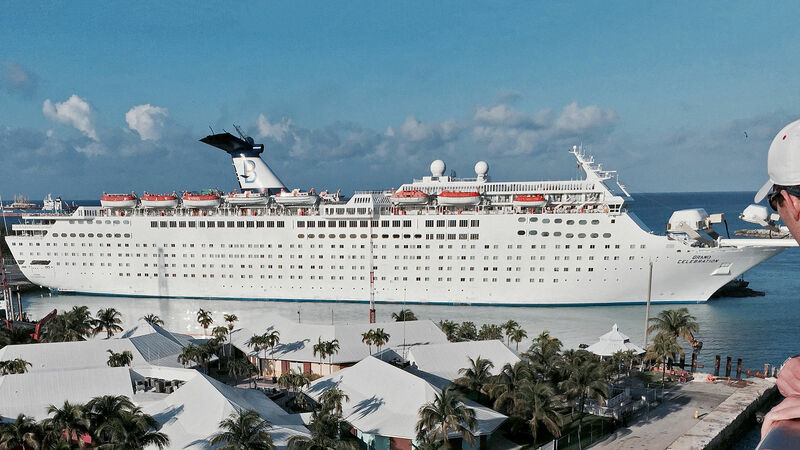 The vessel got additional cabins, which increased her tonnage from 26,678 to 27,670 and capacity from 450 guests (as the cruise ship) to 750 travelers. She became known as Sea Princess. The liner had an eventful history. Several times, she changed companies, names, and functions (she served as a floating accommodation, educational vessel, etc. ), and her livery was also changed several times. Probably, the way she looked as Mona Lisa was the most impressive. This video shows the story of her incredible changes. Unfortunately, Kungsholm went for demolition in 2016. 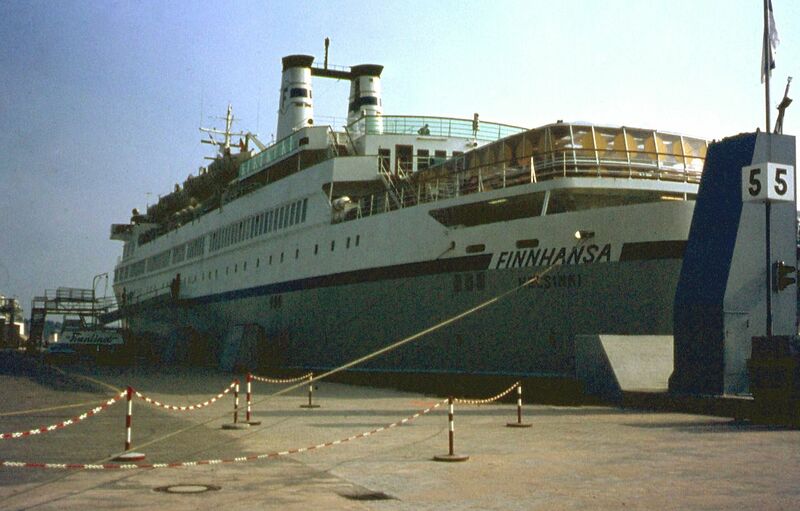 MS Finnhansa started her career in 1966 as the ferry. Besides, she offered weekend cruises in summer 1967. In 1972, she received nearly 300 new staterooms. Another transformation took place in 1973. The most extensive refurbishment was carried out in 1980. At that time, the ship was already known as MS Prinsessan (Birka Line). The liner got a new shape, additional staterooms (on the car deck) and public venues. When she joined Louis Cruise Lines as Princesa Marissa, she was transformed again. Yes, you can still find some distinctive features of MS Finnhansa in the second picture. Nevertheless, the transformation is impressive. She was scrapped in 2008. 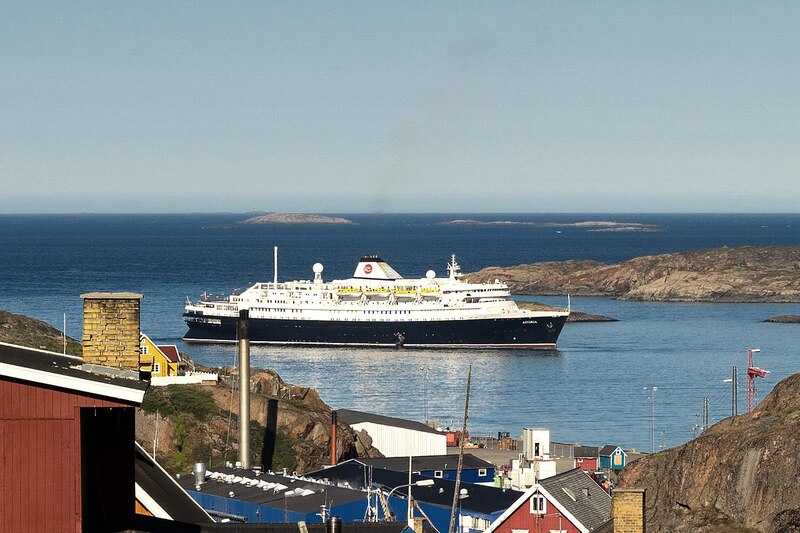 Our next heroine took her maiden voyage back in 1948 as the ocean liner called Stockholm. She had a hard fate: the ship collided with another ocean liner, was nicknamed the “ship of death,” attacked by pirates, and detained for unpaid fuel bills. However, it’s not the subject of our article. After the infamous collision with SS Andrea Doria, the ship changed not only operators and names but also her appearance. 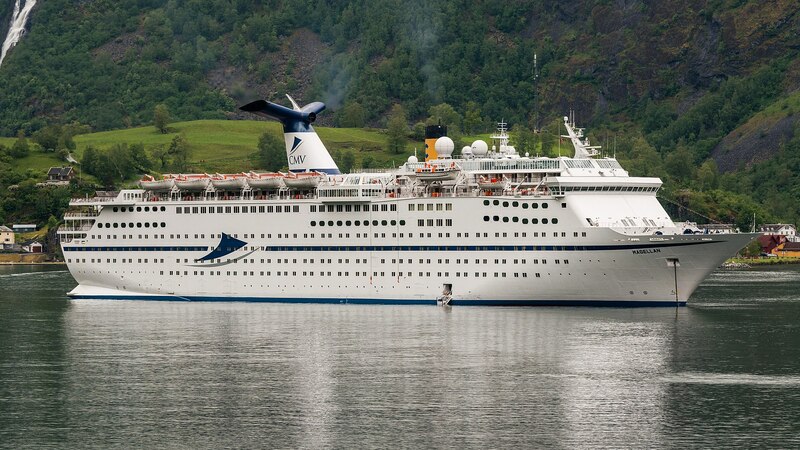 Ex-Stockholm was given a modern cruise ship design in the 2000’s. 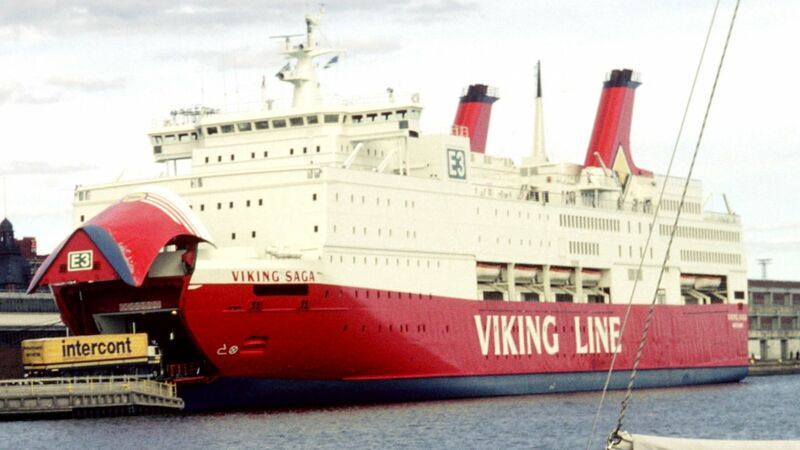 MS Sally Albatross (currently known as Celestyal Crystal) was a cruise ferry called MS Viking Saga. She took her maiden voyage in 1980. Six years later, she was reconstructed and entered service as the cruise ship. However, Sally Albatross could be hardly called the full-fledged cruise ship since her car decks were not built in. In 1988, Sally Albatross underwent another extensive renovation. She got additional staterooms instead of the car deck, the forward superstructure, and other changes. Next reconstruction that took place in 1990 was fatal. Her hull burnt out after a three-day fire. Nevertheless, in 1992, new Sally Albatross with the extended hull and increased capacity began to offer sailing again. 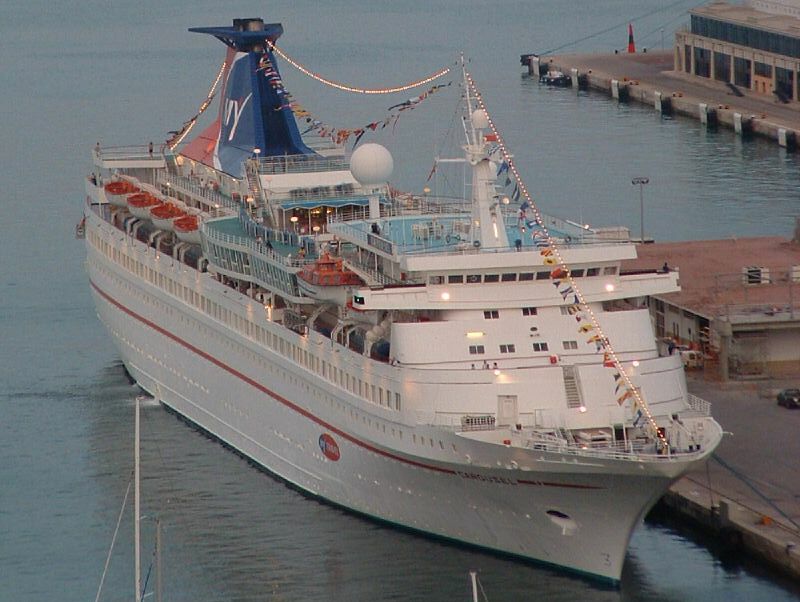 She was transformed beyond recognition, and many cruise lovers even considered her as the new liner. 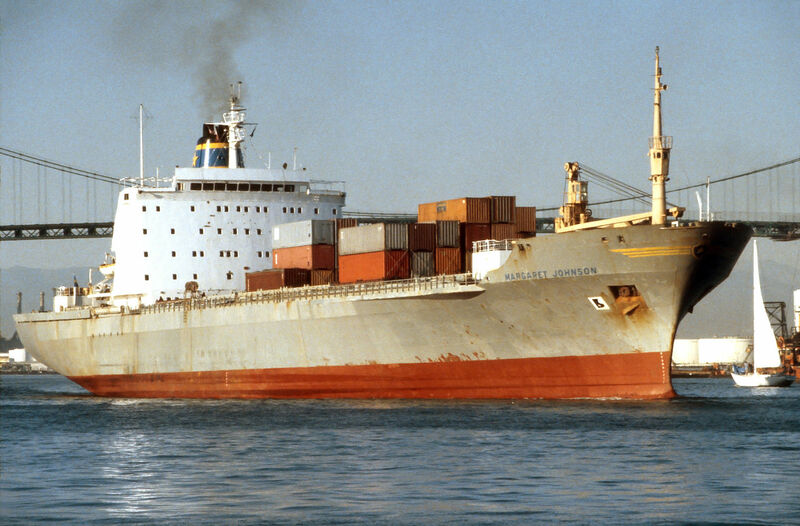 Our next ship started her story in 1969 as a container ship Axel Johnson. 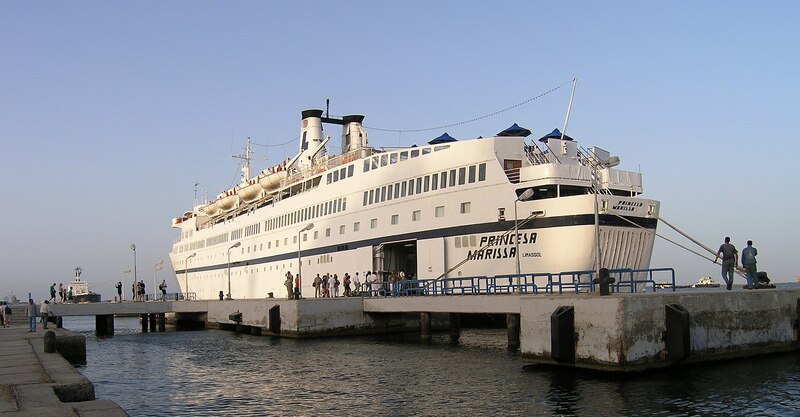 The initial attempt to convert her into the cruise ship was made in 1986 when she became a member of Regency Cruises. 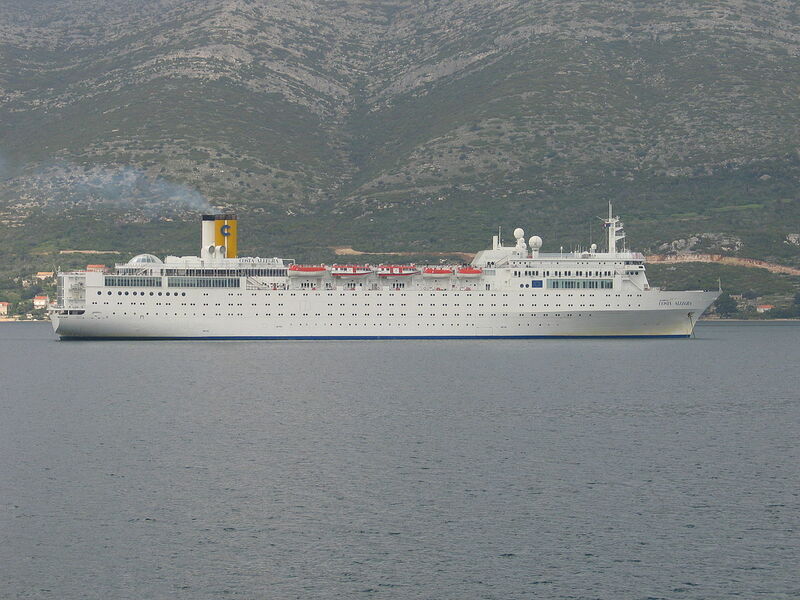 However, it had failed, and the vessel remained laid up until she joined Costa Cruises in 1988. She became the cruise ship and got the new name of Costa Marina. Then the vessel operated sailings for several lines. In 2014, the liner was sent for demolition. We should note that Costa Marina was not the only one ship that underwent such impressive changes. Costa Allegra also was built as the container ship (in 1969). Originally, she sailed as Annie Johnson. 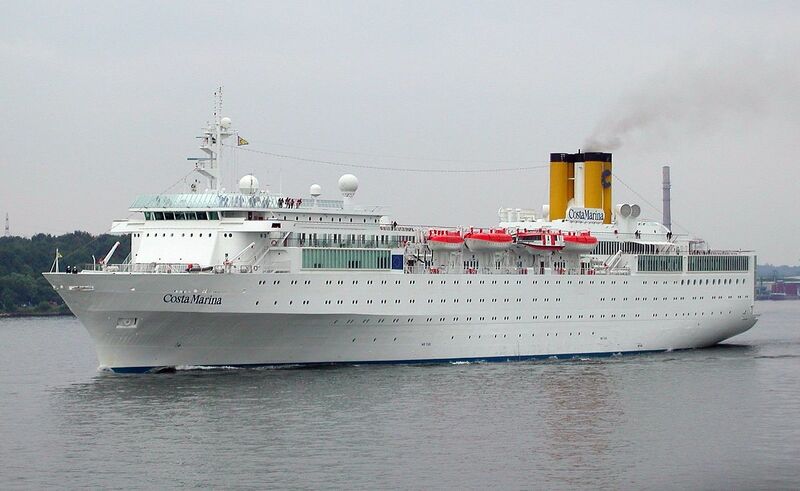 Just like our previous heroine, the ship was transformed beyond recognition when she joined Costa in 1992. Unfortunately, the liner went to ship breaking yard in 2012. The change is dramatic. Can you believe that well-known Costa Marina and Costa Allegra looked like this? Different cruise liners, fascinating stories, incredible transformations – each of them left a trace in the fantastic cruise ships history that keeps surprising us with new exciting facts. Do you know other cruise ships that were transformed considerably? Please share your stories in the comments.